Spiked with a sensible dose of realism and spiced with a jarring dash of melodrama, Sebastian Cole’s Sand Dollar is a literary-quality mainstream novel that explores the meaning of love. This well-crafted book is a romantic fantasy that uses intermittent flashback to relate the events of eighty-year-old Noah Hartman’s life, as he lies dying in a hospital bed. The focus is on Noah’s relationship with an indecisive woman named Robin, a lover he classifies as his soul mate. Despite the often inconsiderate, even hostile, interaction between them, he believes this passionate roller-coaster ride is spiritual fulfillment. In his eyes, no one else compares to Robin. A short-lived marriage and unpredictable behavior, followed by a prolonged seven-year separation, lead to a surprising, though rather trite, reunion at Noah’s wedding to another woman. Robin unexpectedly returns before the ceremony and professes her love to Noah, putting him in a heartrending position. In a classic scenario of wanting what one cannot have, the story takes a predictable turn, exposing the good and the bad behind a contemporary couple’s motivations. Personal agendas and controlling parents, as well as financial need, influence this true-to-life relationship. Noah is wealthy, and Robin is not. Built on the premise that one’s mate is determined by destiny, and the belief that even choice cannot override intense attraction, the plot veers into a mystical drift through the past. Noah relives his experiences with Robin in snatches, feeling the emotions and analyzing the encounters. Brutal rejection and psychological trauma complicate the straightforward progression of what could have been a storybook romance. Like an omen, the author lays the narrative groundwork for conflict: “Our amazing week together in Saint Barts was suddenly shrouded in mystery. We had been warned that is was bad luck to disturb anything in the sea, but that was just a silly superstition‪ … right?” Phrases such as, “I don’t usually act obsessively—unless of course there’s a good reason to,” succeed in balancing the situation on an unstable precipice. The protagonists control their decisions, yet implied unseen forces create a cloudy atmosphere that detracts from the clarity of the story. A bizarre mixture of resolute actions and vague, otherworldly impressions may leave the reader questioning the real message behind this mesmerizing parable. A native of New England, Sebastian Cole left corporate America to pursue his creative dream. 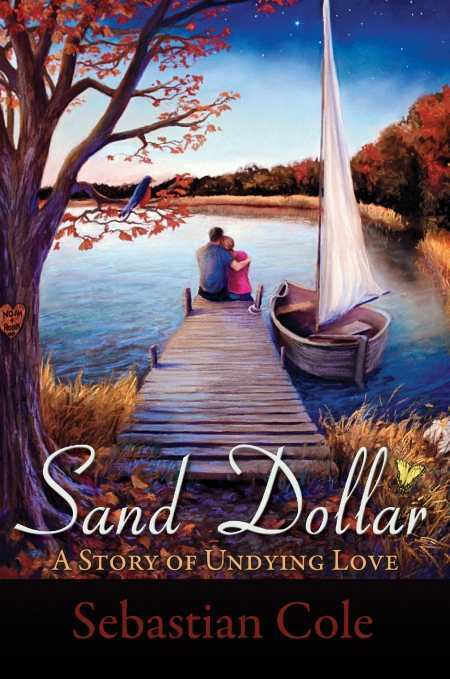 Sand Dollar is his debut novel. Inspired by The Notebook, a popular title by Nicholas Sparks, Cole’s work is more of a sentimental journey than a pure love story.